Cirque du Soleil by SG Interactive is a branded 40-payline online video slot. Created under the Cirque du Soleil trademark, the game is loosely based on the outfit's colourful acrobatic and clown act Kooza show. Top circus performers with the likes of the Trickster, the Wheeler and the Innocent appear as significant reel elements. To help players get the most from out of those images, both the base and bonus games are configured with Mystery Stacked Reels. The game features a Bonus Wheel as main attraction. The wheel awards minor or major cash prizes, as well as entry to any one of two types of Bonus Rounds: the Trickster or the Wheel of Death Free Games. In addition, the base game reels have a Mystery Box Pick and Click Game as alternative means of activating the Bonus Wheel. A straightforward WILD emblem appears now and then, rendering substitution actions to identical symbols falling in the same payline as the wild card. At any time during an ongoing base or bonus game spin, animated figures of Cirque du Soleil performers appear on screen. In conjunction with their appearance, a certain symbol will be revealed. Once the reels return, and if the revealed Mystery Symbol is in view, the column/s in which the image appears will be converted into full-reel image/s of the special icon. The icons with potential to be revealed as Mystery Stacked Reels include the Wheeler Single, Skelly Single, Chari Single, Innocent Single, Red Mask, Pink Mask, A, K, and Q. The Bonus Wheel feature can be activated two (2) ways. One is by landing on reels with three (3) BONUS icons in view. The other method is by landing on reels with three (3) BOX images. The BONUS Symbol emerges only in Reels 2, 3, and/or 4. A 3-BONUS combination not only activates the Bonus Wheel. It also awards instant Bonus Wins equivalent to 2x the current Total Wager staked on the triggering spin. The BOX Icon takes position only in Reels 1, 3 and 5. Three BOXES appearing simultaneously trigger the awarding of a Mystery Reward; either Instant Coin Wins ranging from 6.00 to 100.00 or access to the Bonus Wheel. A player has to click on one of the BOXES in order to reveal and receive the Mystery Reward. Cash Values comprising random amounts ranging from 7.50 to 175.00. 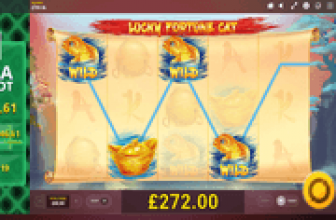 The Trickster Bonus Game, which awards 10 free-spins. During the free round, Acrobats appear to randomly designate one or more reel positions. All images appearing on those positions will be upgraded into a single type of identical high paying symbol. Those symbols may include the WILD, Wheeler, Skelly, Chari or Innocent Single icons. The Wheel of Death Bonus Game – Here, 7 up to 12 bet-free spins are awarded, while a multiplier anywhere from 2x up to 4x applies to wins occurring during the free round. A More Free Games signage may emerge in Reels 2, 3, and 4. 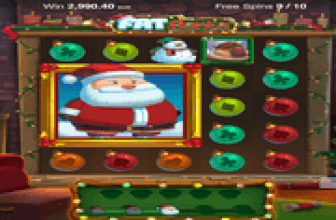 Whenever two (2) or more of the More Free Games emerge after a bonus spin, four (4) up to fifteen (15) additional free-spins may be added to the round. 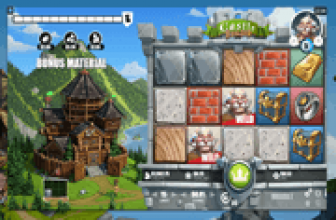 Moreover, the Mystery Stacked Symbols remain a constant feature of this bonus game. Cirque du Soleil Jackpot comprising the Mini, the Grand, the Colossal and the Tres Magnifique prizes. The amounts awarded are dynamic. The value depends on the level of Bet staked by the Cirque du Soleil player triggering the reward. Cirque du Soleil : Outstanding Bonus Wheel Prizes that Include a Jackpot and 2 Types of Free Games! Cirque du Soleil is a 40-payline online video slot loosely based on the outfit's Kooza Show, featuring an amazing win-boosting Mystery Reel Symbol and a Bonus Wheel that awards either instant Cash Wins including one of 3 Jackpots, or entry to one of 2 Bonus Games. The Trickster Bonus Game enhances the round with Symbol Upgrades, while the Wheel of Death Bonus Game comes with a multiplier that applies to all Bonus Round Wins.